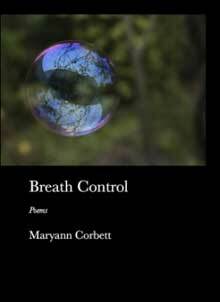 I'll be reading from Breath Control, from Credo..., and from a collection in progress on Saturday, September 8, at 3 pm, at Jabberwocky Books in Newburyport, Massachusetts. The reading is part of the Powow River Poets reading series, and I'm honored to be reading along with Powow Poet Jean Kreiling. Please join us there. There's an enthusiastic review of Breath Control in the July 2012 issue of Verse Wisconsin. Here's a snippet, about "Rereading the Aeneid...": "Deceptively simple, clean, and rooted in both the cerebration of language and the slap of emotion..."
"The poems in Breath Control are multilayered and complex. A poem titled "Shrubs for the Northern Garden" (one of my favorites) is about flowering plants that you can (forsythia, lilac) and cannot (azaleas, dogwood) have in the north. But it's really about a woman having to face the facts and come to terms with her father's fading memory....These poems are deep and deeply moving. Sometimes terrifying. And brutally honest." Heartfelt thanks to all of you who have ordered signed copies of Breath Control, and thanks too to all who have told me you've ordered the book from Amazon or other sellers. Big batches of books went into the mail last Tuesday, and again yesterday, 3/3. I have a message that at least one copy is in the hands of a reader. I'm grateful to you all. I also have many more copies! Read more about Book distribution central! Full length collection, just out from David Robert Books. 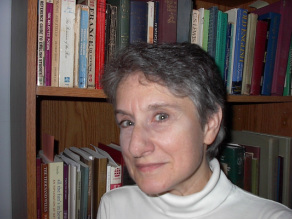 Maryann Corbett's work has appeared in many journals online and in print in North America, Europe, and the United Kingdom. She won the Lyric Memorial Award in 2008 and the Willis Barnstone Translation Prize in 2009 and has been a finalist for the Morton Marr Poetry Prize in 2009, the Best of the Net anthology in 2010, and the Able Muse Book Prize in 2011. She is the author of four collections of poetry.